PRETORIA: Former Paralympic champion Oscar Pistorius will appear in court Tuesday for a bail hearing that could put him back in prison after he was convicted of his girlfriend’s murder on appeal. South African appeal judges last week found him guilty of murder and overturned his earlier conviction on the lesser charge of culpable homicide for shooting dead Reeva Steenkamp in 2013. Pistorius, 29, was released from jail in October and is under house arrest in Pretoria after serving one year of his five-year prison sentence for culpable homicide — the equivalent of manslaughter. “His (earlier) conviction has been overturned, so his sentence from before has been scrapped,” Lusanda Ntuli, spokeswoman for the justice ministry, told AFP. The double-amputee sprinter, known as the “Blade Runner” because of the prosthetic legs he uses on the track, now faces a minimum 15-year jail sentence for murder, although the term could be shorter due to mitigating factors such being a first-time offender. “If he is given bail, it may come with different conditions perhaps not as stringent as house arrest,” criminal lawyer Martin Hood told AFP ahead of the hearing in Pretoria High Court at 9:30 am (0730 GMT). Pistorius killed Steenkamp, a model and law graduate, at his home in Pretoria, saying he mistook her for an intruder when he shot four times through the locked door of his bedroom toilet. The South African Supreme Court of Appeal changed his conviction to murder and sent the case for re-sentencing, saying the original trial judge had made “fundamental” errors in her ruling last year. The appeal decision, read by judge Eric Leach, said that it was “inconceivable that a rational person could have believed he was entitled to fire at this person with a heavy calibre firearm”. No date has yet been announced for his re-sentencing, which is expected early next year. Last month, Pistorius made his first appearance in public since leaving jail when he reported for community service at a Pretoria police station. 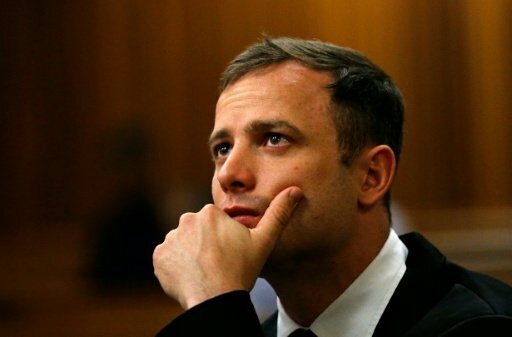 Pistorius may make his own appeal to the Constitutional Court — the country’s highest court, but his lawyers have said he cannot afford further legal battles after paying huge bills.